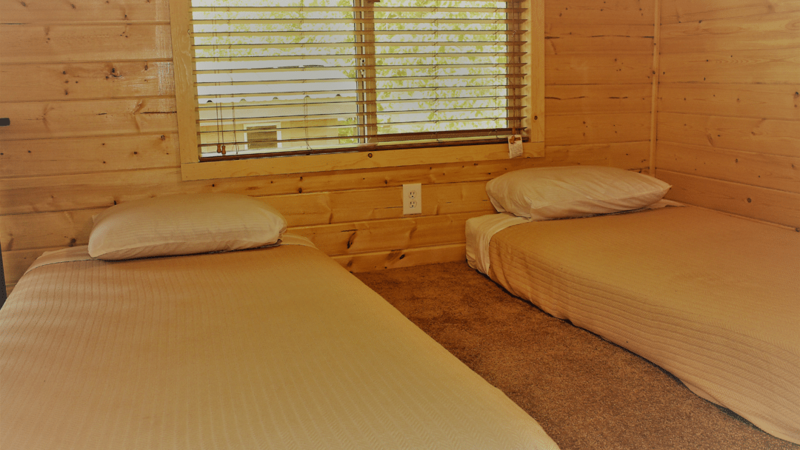 Our Cottages offer the perfect get-a-way spot for a couple or small family to enjoy both summer and winter fun! Your rental includes FREE Breakfast*. 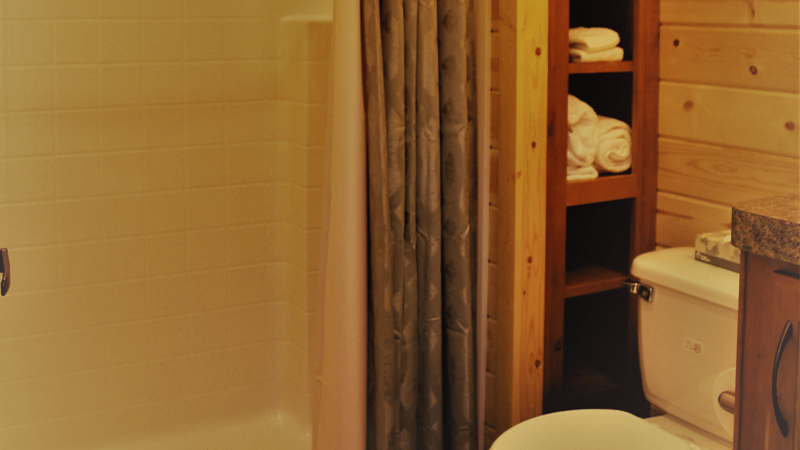 Our new Cottages offer a private queen bedroom, loft with two twin beds, full bathroom and plenty of room for relaxing! 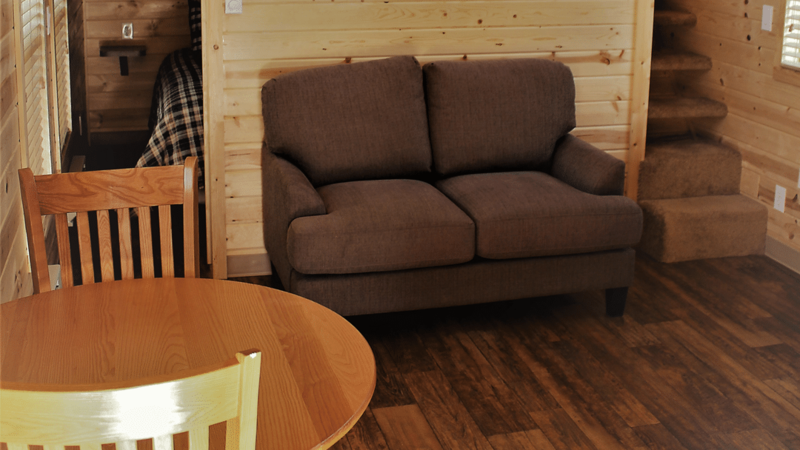 Each is equipped with an efficiency kitchen, dining & living area. The front porch, complete with lounging chairs, is the perfect place to chill out and enjoy the views! 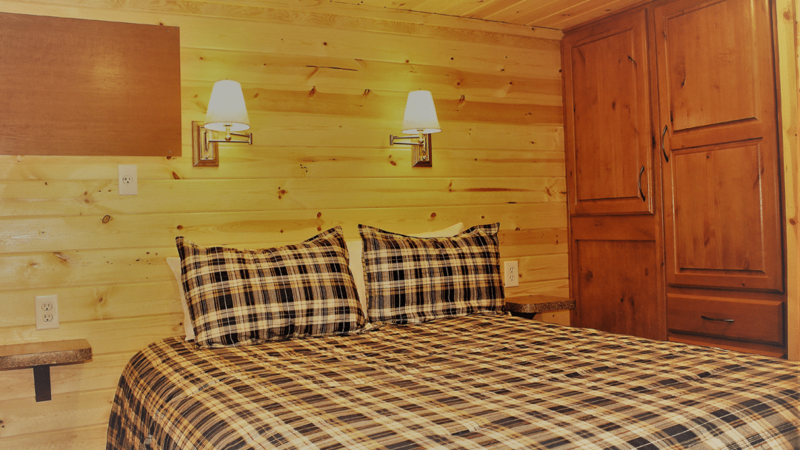 As you first enter this cozy cabin, you’ll find a full bathroom. Next comes the living area with comfy love seat and a flat screen connected to DirecTV for the times you just need to kick back, relax and recharge. 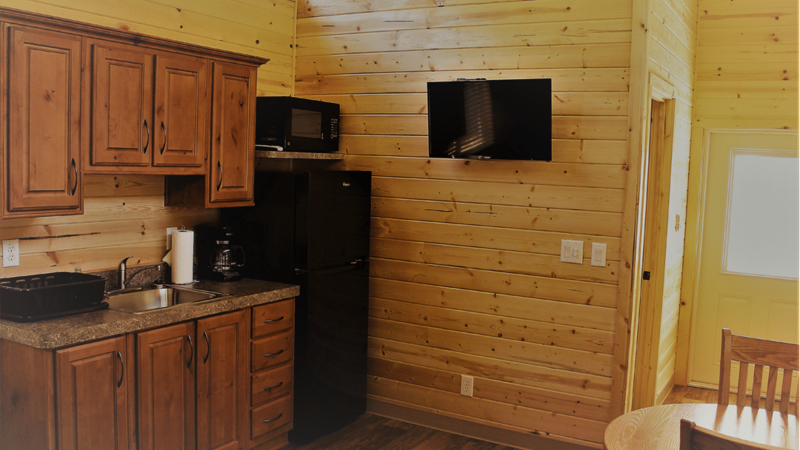 For your convenience, there’s a efficiency kitchen complete with sink, fridge, coffee maker and microwave. 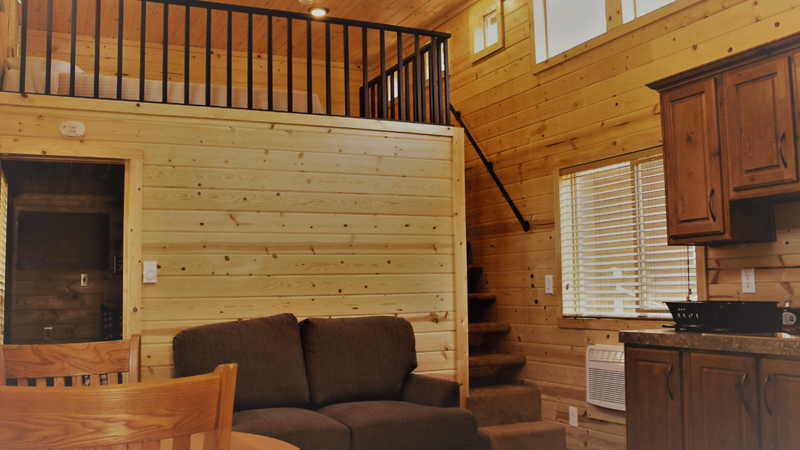 A private queen bedroom and loft with two twin beds makes this the perfect getaway for a couple or small family. Sorry, pets are not allowed in these cabins.